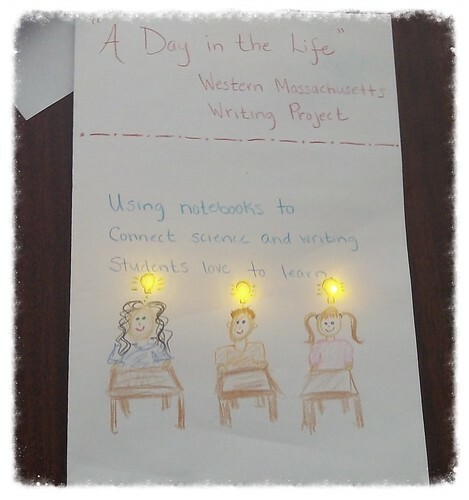 This entry was posted in CLMOOC, Paper Circuitry. Bookmark the permalink. Tres cool. Looks like you all had a great time. No one nearby doing this around me. Makes me realize how students without access feel. Need to figure out ways for all to get a chance to hack their notebooks into electronic circuits. Yeah and cost is prohibitive for the classroom right now. I suspect this might be more for “clubs” for now (unless grant money is available) and that always bothers me — that access issue. But, things start somewhere … plenty of the teachers I worked with were interested in doing more with their students after our session. This is very cool and something nre to me. I am going to have to investigate more. What am I missing? Can’t everything that teachers listed here be done more efficiently, in more connected ways, leading to deeper learning computers? Perhaps that is true, but I think doing hands-on work off the computers can have value, too. Or do you not agree, Paul? It seems to me that there needs to be more of a mix of how we get at what we are learning. I do think that we are just at the start of this paper circuitry curve, so some of the reflective ideas is shoe-horning.